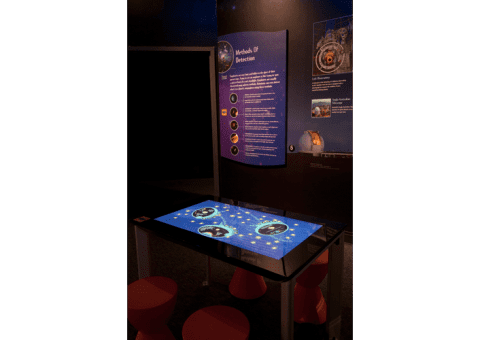 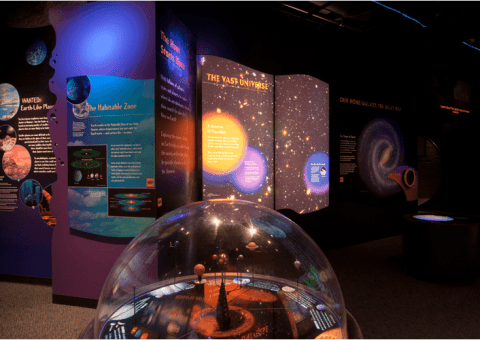 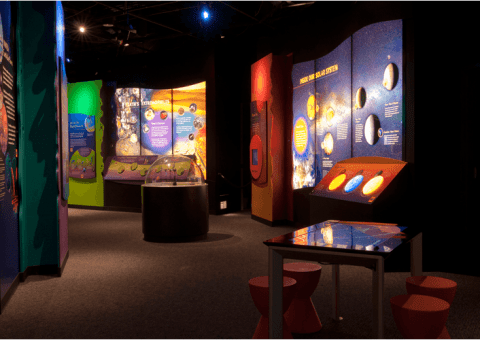 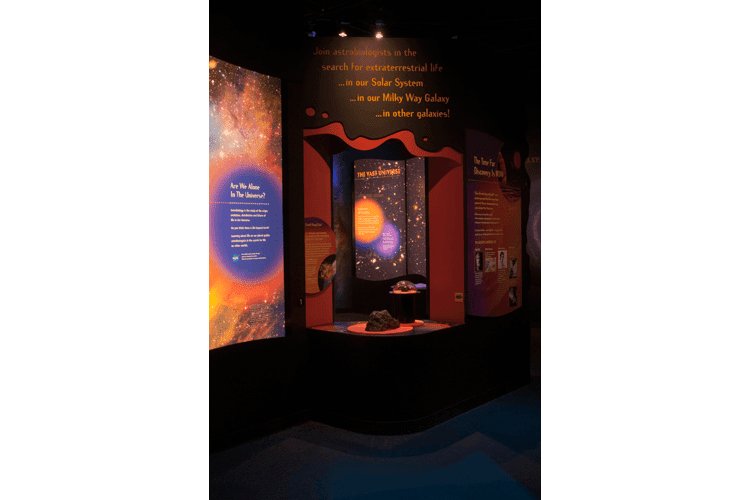 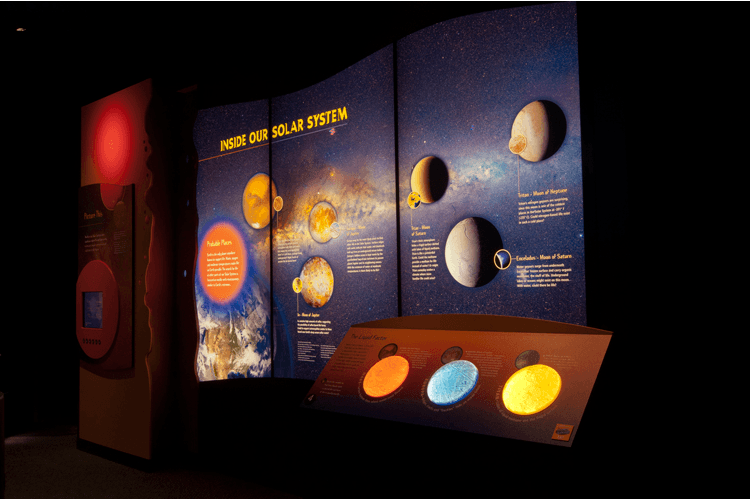 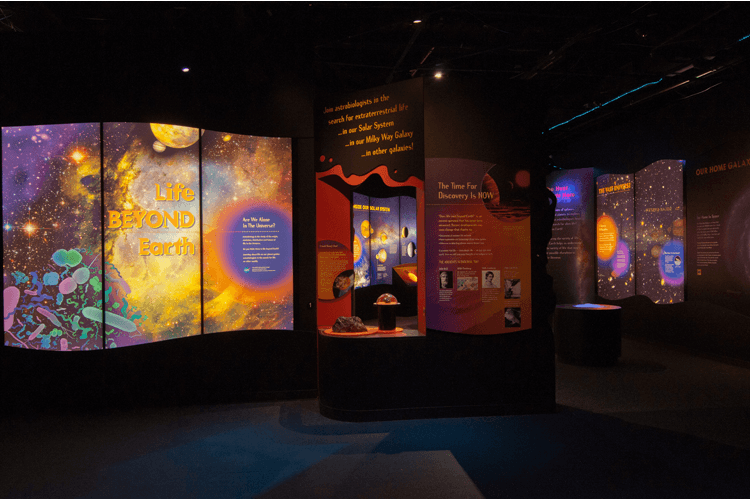 Quatrefoil designed, built and installed this interactive exhibition that introduces visitors to astrobiology — the study of the origin, evolution, distribution and future of life in the universe. 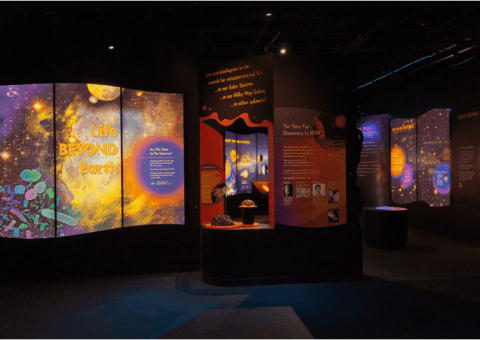 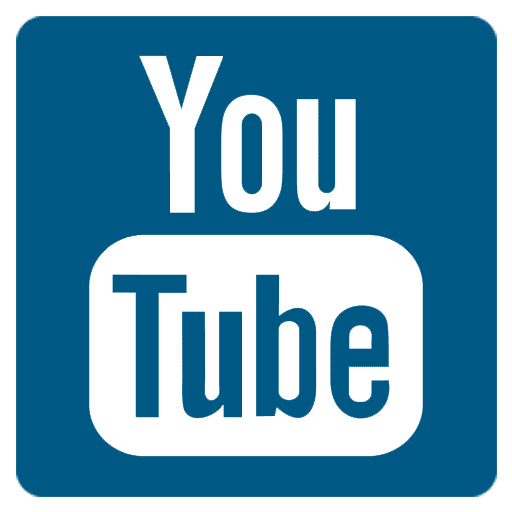 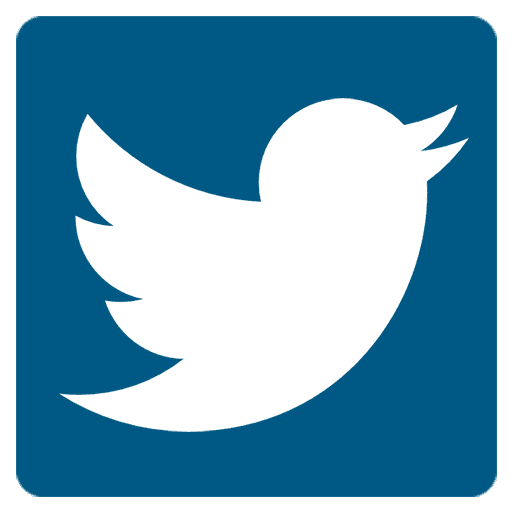 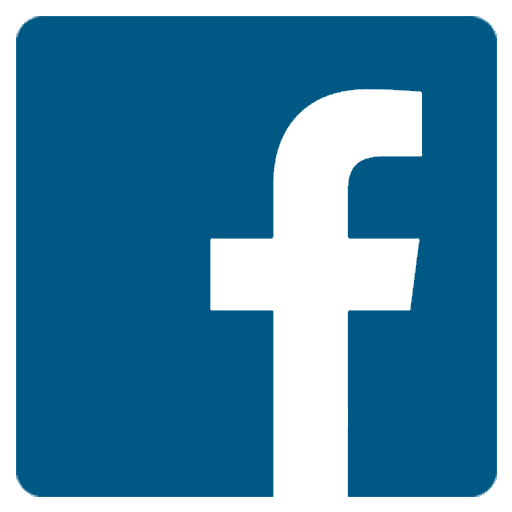 “Life Beyond Earth” highlights the immense scale of the universe, the connection between extreme forms of life on Earth and the potential for life beyond Earth, scientists’ search for life among the stars and the resulting discoveries about our universe. 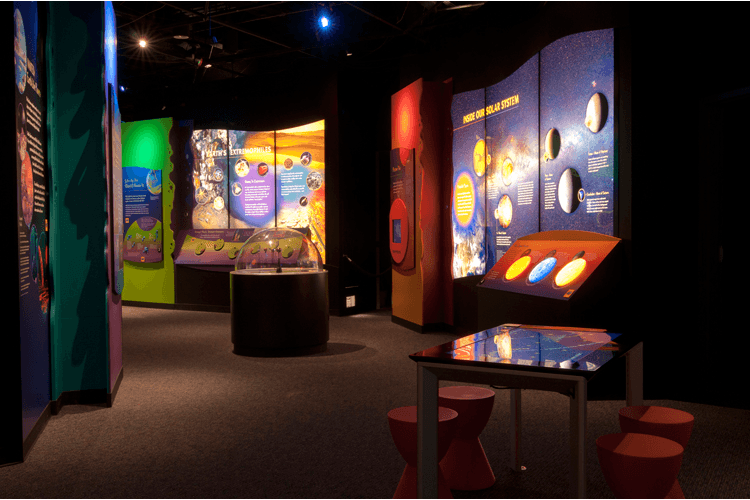 The design of the exhibition uses vibrant organic elements to combine themes of outer space and extremophile life forms on Earth. 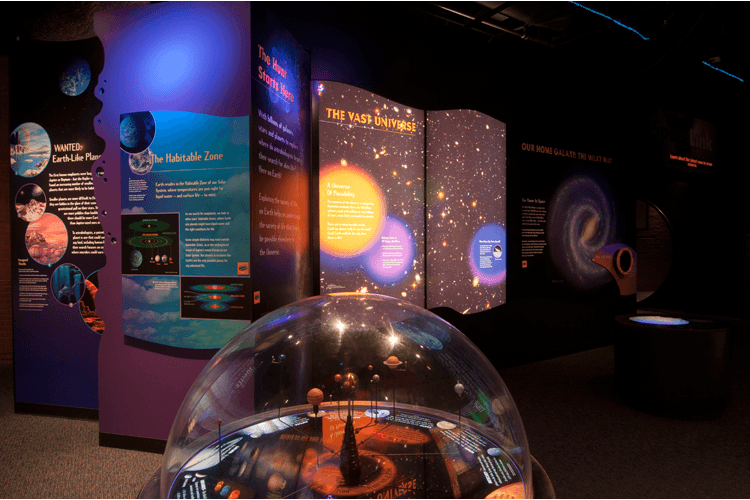 Tactile features throughout the space enhance the sensory experience for all visitors.